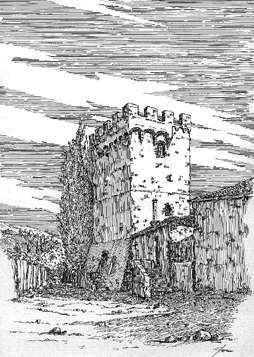 This drawing depicts a view of the Tower at Palazzo dei Conti di Spannocchia situated in Chiusdino near Siena. This Palace is immersed in the greenery of oaks, bitter oaks and chestnut trees. You can order only this copy, the drawing is original.